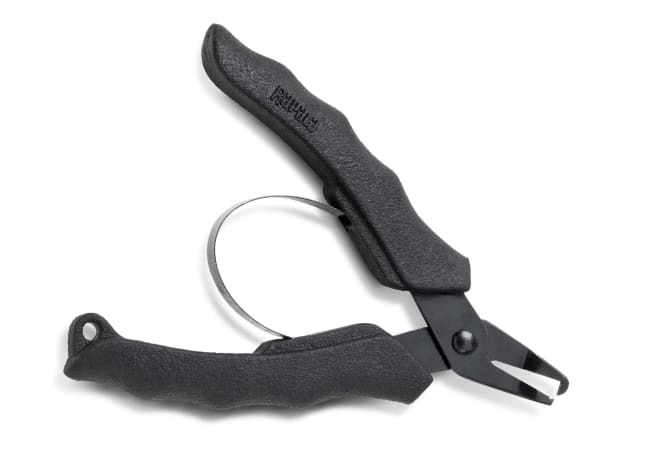 Removing or replacing hooks on your favorite lures no longer needs to be a tedious affair with the Rapala Mini Split Ring Pliers. The built-in removable leaf spring ensures one-handed operation to quickly deal with rusted hooks. It boasts a soft grip and lanyard to ensure it stays with you and is built to last. Don’t let a blunt hook be the reason you lose another fish, switch them out easily with the Rapala Mini Split Ring Pliers.